I have two projects to share today! 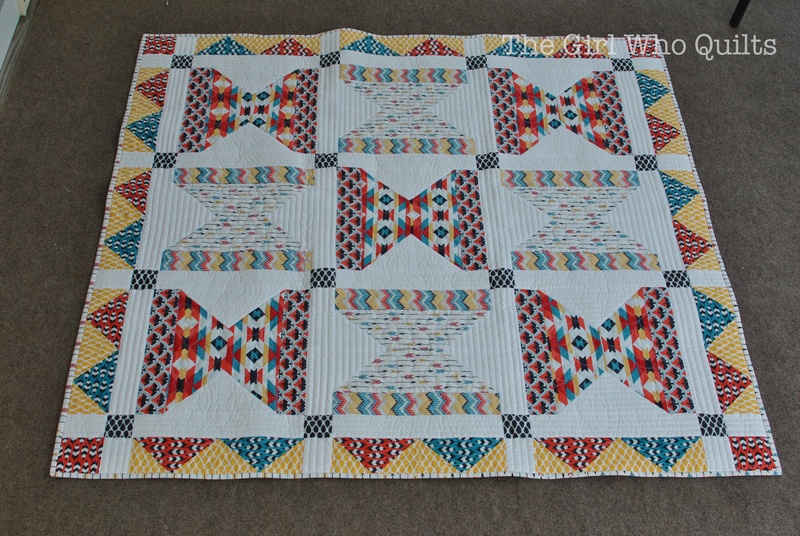 Cloud 9 contacted me to piece and quilt these projects for them, the first of which was done just before Spring Market. 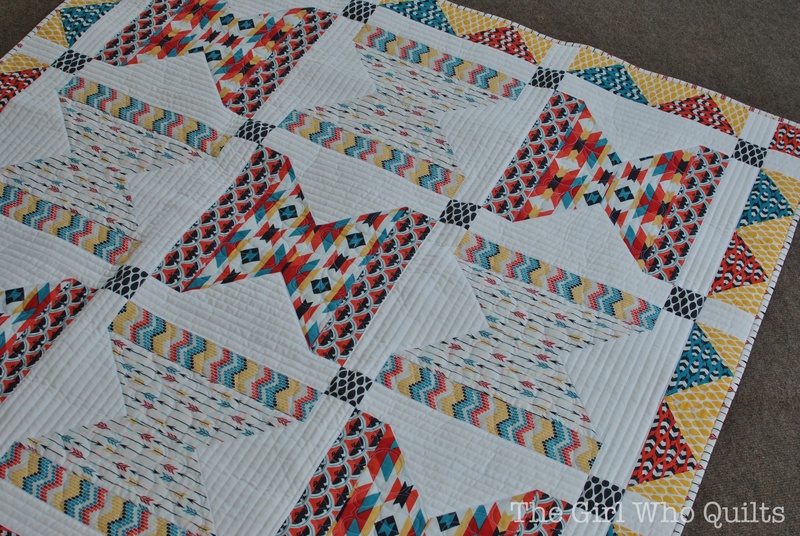 The second quilt was done earlier this summer. You may have seen peeks of these on my Instagram! The FREE! 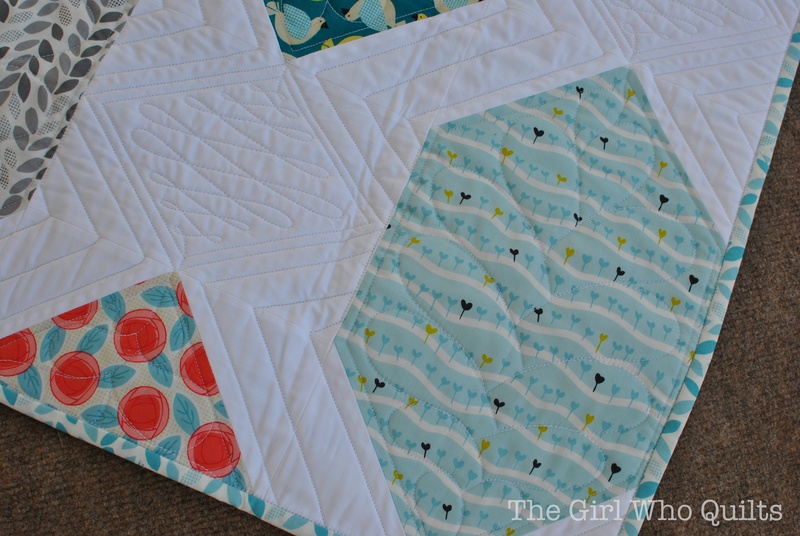 pattern for this first quilt can be found here. The fabric is available through JoAnn Fabrics, and is called Backyard Garden. The pattern was designed by Melanie Shortmas-Tuazon, and the fabric line was designed by Michelle Engel Bencsko. 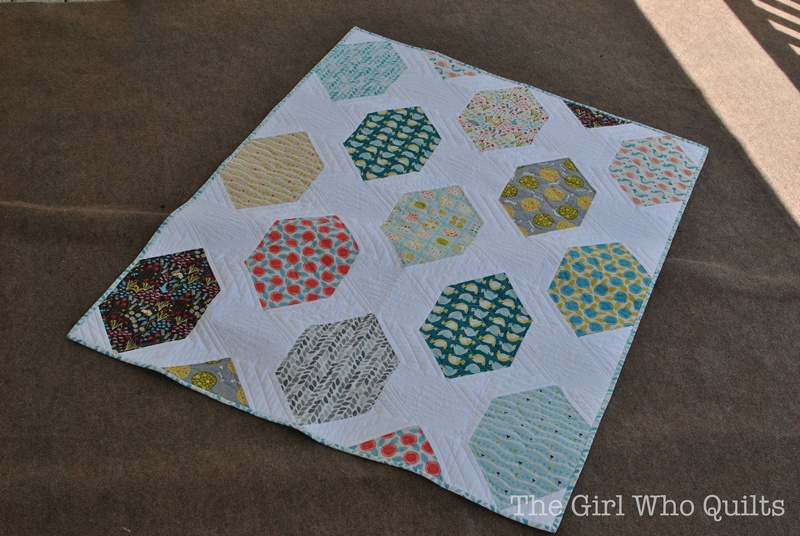 In the sample that I sewed up, the center shape is not pieced, but rather cut from a single print. 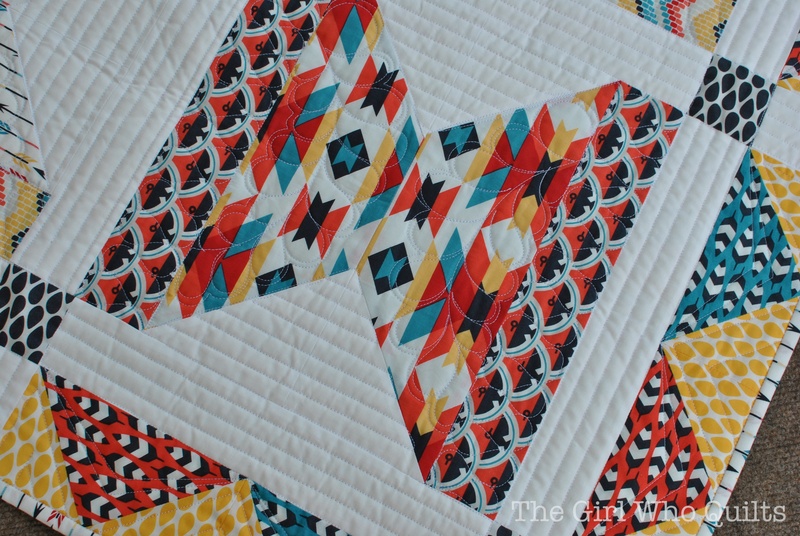 This pattern sews up really quickly, and it's a great way to highlight some large scale prints! 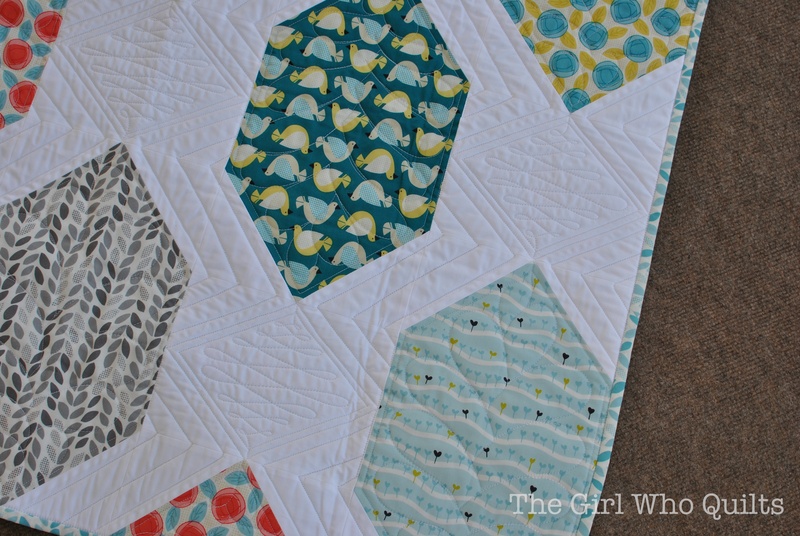 I worked on this quilt when I was still quite uneasy about quilting feathers. It's actually kind of fun to pull up these photos and see some of my older work! 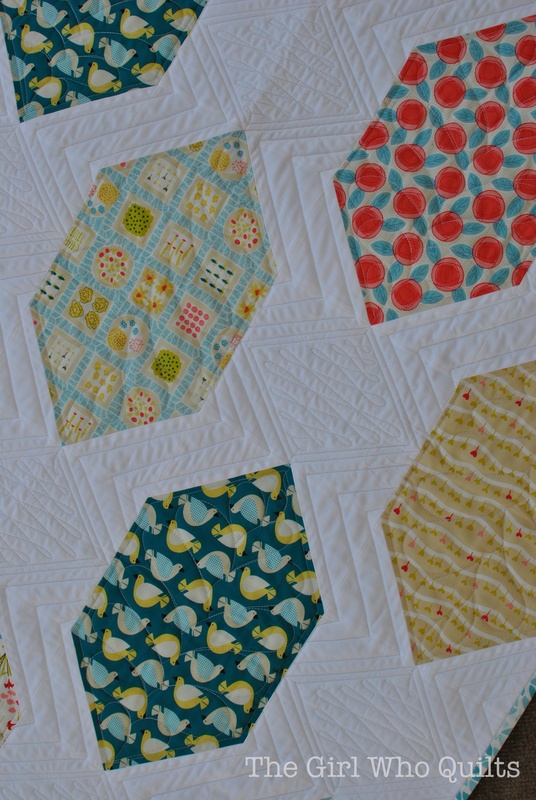 We were under a little bit of a deadline for this project, so tried to keep the quilting simple with some straight lines and easy feathers. You can see a brief Cloud 9 blog post on this project here. The second project is also a free pattern! This fabric line and pattern were both designed by Michelle Engel Bencsko. This project also includes some feathers! So fun to see how much I've changed and learned. I really like the design that the feather arcs create - it reminds me of a butterfly. The straight lines create such great texture! Sometimes I have to remind myself to use something else for a background fill! It was really fun to work with Cloud 9 on these projects!